MEGA offers a generous 50GB of free cloud storage and it can be a very handy service to upload files to and to use as a sync service, but it lacks the ability to be used as a backup service. Wouldn’t it be great if you could use that free space from MEGA to help backup your files and keep them safe. Thankfully thanks to Mega-Backup (no connection to the horrible MegaBackup I posted about last week), by KRKsoft.com based out of Poland you can. If you want to take advantage of free space from MEGA and use it as a backup you can do it in three easy steps. In order to start backing up your files to MEGA you will need a MEGA account. Head over to MEGA and signup. A free account will work, but if your backup gets to large you will need to upgrade to a larger account. Alternatively, you could actually use multiple free MEGA accounts as long as each backup job stays under your free space, but really if you want a reliable backup that you can count on you might even want to just pay for a MEGA account. They are not that expensive starting at only 9.99Euro/month for 500GB of space and 1TB of bandwidth or pay yearly and save 17% on your subscription. Once you have your MEGA account all setup head over to Mega-Backup and download the trial (or purchase if you like) to make sure it works on your system. The web page I will link to is the affiliate page if you want to know why it looks different. 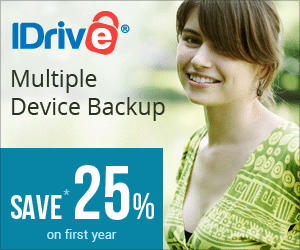 Mega-Backup runs on Windows XP, Windows Vista, Windows Server 2003, Windows Server 2008, Windows 7 and Windows 8. Sorry Mac folks you are not able to use it at this time. The trial is fully functional for 60 days and will give you a good chance to know if the software is what you want. It is the only graphical interface I found that uses the MEGA api to transfer files from your computer to MEGA. There are other command line tools available but the Mega-Backup offers a nice easy to use interface. To keep using the software after 60 days you will need to purchase a licence, but it is ONLY $4.99/year! Most people spend that on coffee in a single day. It is affordable enough that even students on tight budgets can afford it. Once you have downloaded Mega-Backup you can double click the installer and proceed through the setup wizard. Once the application is installed you can setup a new backup schedule, select the files you want to backup to MEGA and run the backup. Once the backup is complete you can then view the backup zip archive on MEGA. If you happen to have a computer hard drive failure or need to access your files from another computer you can actually download the zip archive without the application. If you do choose to use the application to do a restore you can select the file location to restore the files into. Always a nice feature to restore to an alternate location. There are limits on the size and number of files you can backup using the application. If you plan or want to backup large amounts of data you will want to read through the help files. The max file size what I remember reading is 4GB and the max number of files is 65,000. Here is a video I pieced together of me going through the whole process. This method of using MEGA for backup is not perfect. Mega-Backup, while it offers you an easy to use interface to setup and run your backups, it is missing a couple of key features that would make it even better. Currently the software says it will run a daily backup, but there is no way to configure the time of the backup or to set an alternate day and time. It would also be nice if you could actually set a zip file encryption key on the archives before sending them up to MEGA. Sure MEGA encrypts files but it would be nice to have that control before uploading the archive files. What is nice about the software is once the zip archives are uploaded to MEGA you can actually download them and restore them on other computers if you wish. I don’t know if I would recommend using this method to backup all of your files, but it certainly could come in handy if you just want to automate your uploads to MEGA or have a small number of files. It would also be a great backup solution if you have nothing else in place. The price is certainly right, at only $4.99/year and the ability to use a free MEGA account makes it very affordable. What do you think? Would you backup your files to MEGA?